Planning Your Vacation? Stay Home! However scary the advice in the title may seem, staying at home instead of going to foreign countries could really benefit your mind and health. Does travelling take its toll on the quality of vacation? What can one do if they decide to skip the fuss of airports? Is staying in the comfort of your home relaxing? Let’s discuss it. From the attempts to squeeze all your stuff into the suitcase without breaking anything to struggling to find a bus that takes you to your hotel, travelling offers a wide range of diverse experiences, and not all of them are positive. To many people, travelling is associated with sunny beaches, gorgeous views, lots of souvenirs, museums of various kinds, and tons of photos to look at afterwards. However, even without noticing it, we also have to face problems, such as the inability to talk to locals when some issue arises – it is OK if you are staying at your aunt’s place in Dakota, but if you find yourself surrounded by Indians, things may be way different. Airports, hotels, hurrying to another excursion, losing your suitcase – all this prevents us from relaxing properly, and caused a new trend in vacation-planning to appear. It is now known under the name of staycation. Do not confuse it with its British version, which implies visiting some other areas within the Great Britain. An American touch makes the concept even more introverted: staycation is simply staying home. Yes. Keeping up with the Joneses has long been part of our nature, but if all your neighbors have already been to Italy and you have not, it is not a reason to do so. Period. Actually, there is nothing new under the moon, and staycation is an American version of the Italian concept of dolce far niente. 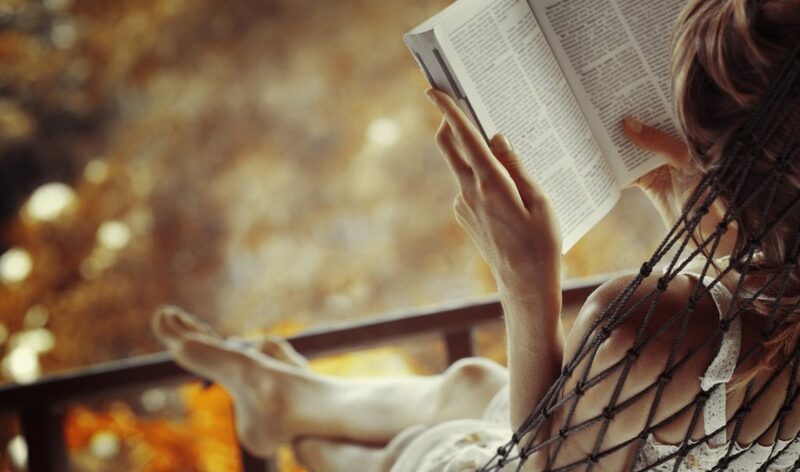 You stay home, and lying on your couch enjoying the book you had wished to read for several months or even years before you went on vacation is nothing to be ashamed of. You can visit your friends, watch long-forgotten or new movies, buy new curtains to ring the changes – the list of things you can actually do is impressive. When you work, you rarely have time to clean your house properly, find a pair of shoes that you like, or just read in a nearby park. Without the need to hurry, vacation at home can be a much better way to relax – as you may really feel relaxed, compared to what you probably pretend to do when posting your photos on Instagram. What really drives our wish to go abroad? In many cases–not all but certainly most–it is what others think that shapes our plans. You may be irritated by such an assumption, but it turns out to be true if our incentives are analyzed. The test is quite easy: can you spend your vacation on a beach or somewhere else outside your hometown without posting any photos on social networks, sharing your moments with any friends (if those hundreds of acquaintances on your friend list on Facebook can be called so), or letting anyone know where you are going or have gone? If the answer is no, you are driven by your wish not to be worse than others. Let’s be honest – we are hooked and tied to our profiles, and we are ready to sacrifice convenience in order to post a couple of dozens of photos of you sunbathing. Breaking the mold can be challenging, and if the idea of staying at home seems scary, it is indicative of your need for such a decision. Give it a try – if not for the whole vacation, spend at least a week at home. Stroll in a park, clean your house properly, make your dwelling a much better place, visit relatives and friends–not as part of your chores, but because you like it–go to local cafes and read, exercise, enjoy 30-minute baths (such a luxury for those working all days long! ), and reevaluate your attitude towards the Joneses. They are not that cool after all.